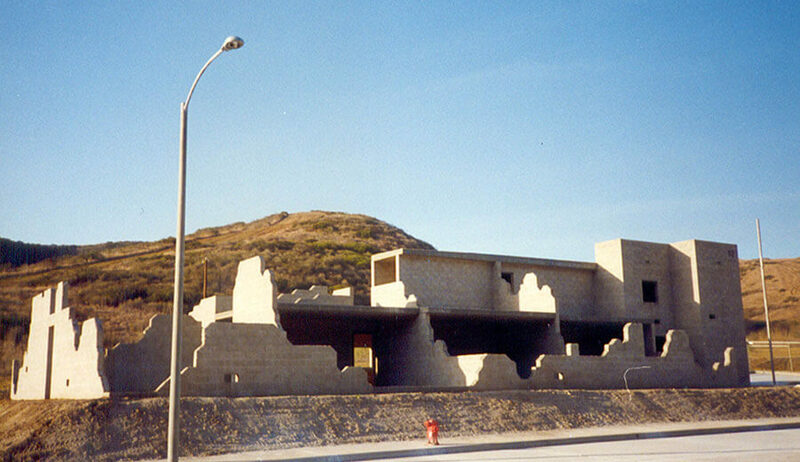 The Urban Training Facility, located at Camp Pendleton, CA represents the first training complex on the West Coast exclusively designed to hone the skills and capabilities of U.S. Marines in urban warfare. Built with considerations for sensitive riparian habitat and a 100-year flood plain, the facility includes 112,512 sq. ft. of building structures sprawled over 20 acres of hilly terrain. 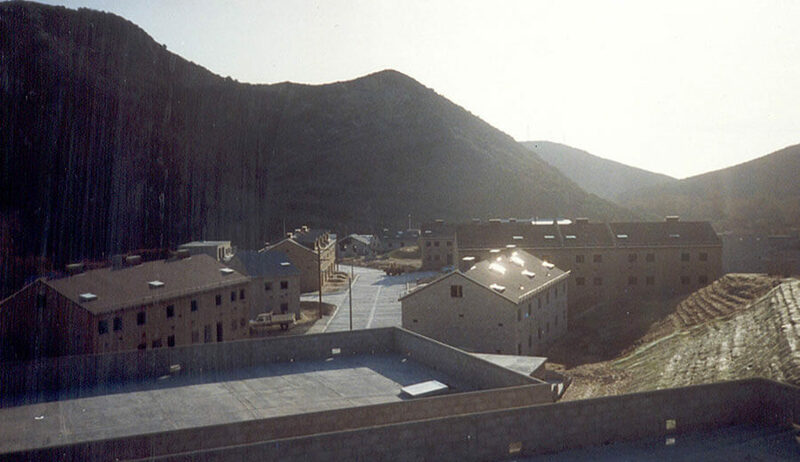 The various building structures are arranged to resemble a small town damaged by rocket and mortar fire during wartime. 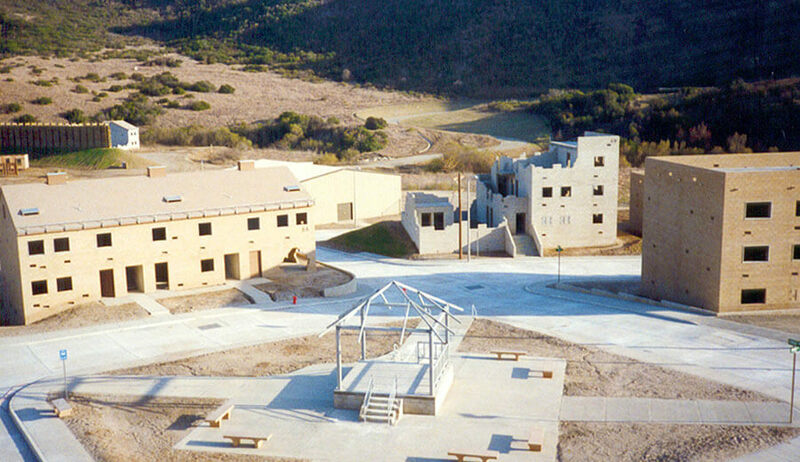 The unique complex includes the primary cityscape course, a live fire assault course, and a live grenade training structure. The city portion consists of 17 “whole” buildings, 14 rubble structures and 9 “ghost” buildings. 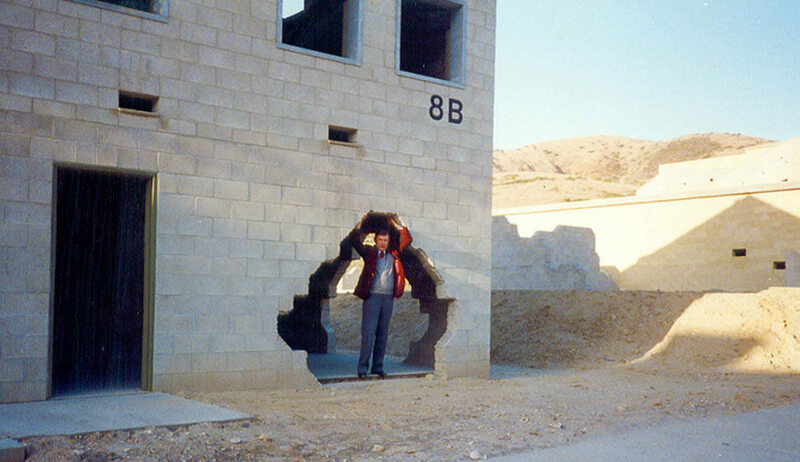 Special features include a maze of 48” reinforced concrete pipe tunnels meandering beneath the city to enable forces to simulate surprise attacks. Special training features include kick doors with release hardware, rappelling anchors for rooftop maneuvers and special concrete finishes warning Marines of potential hazards lurking behind closed doors. 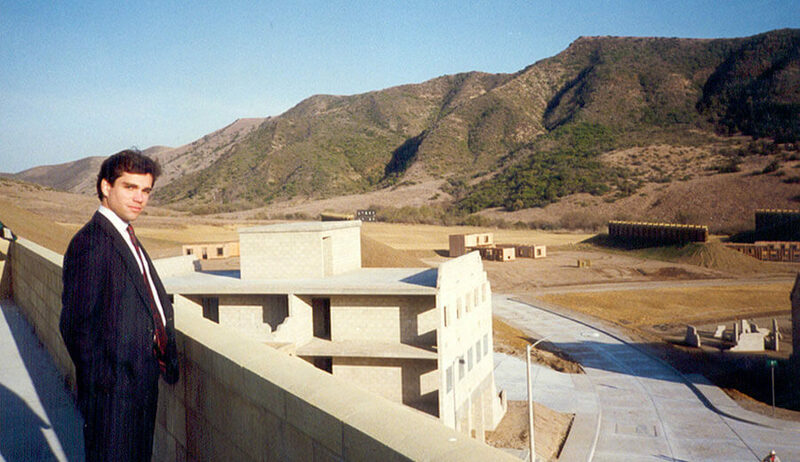 The live fire course is contained within 30-foot earthen berms topped with 25-foot wood timber walls to contain straying weapons fire, along with an automated targeting system with “friend or foe” popups.